If you’ve ever dined out at a nice restaurant I’m sure you’ve come across the delicious and classy charcuterie board. It’s hands down one of my favorite dishes to order too because of all the seasonal fruits, veggies, and meats that all pair perfectly. Add some amazing mustards like stone ground mustard or a rich honey mustard and you’re in for a real treat. Well, today I’m going to show you how to build a simple, yet mouth-watering charcuterie board that you can make at home. And trust me, kids LOVE these too! Also, for some of the highest quality meats be sure to use our 100% Grass Fed Beef Sticks (4 flavors) or our Pasture-Raised Turkey Sticks (2 flavors) each of which contain 1 billion probiotics per stick which is optimal for gut-health. 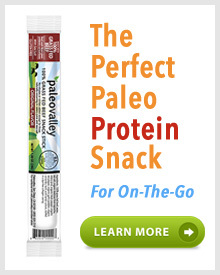 ==> Save up to 30% OFF and grab some Paleovalley 100% Grass Fed Beef Sticks here and our Pasture-Raised Turkey Sticks here. Prep all the meats, seasonal fruits and vegetables you choose and arrange them neatly on your platter. 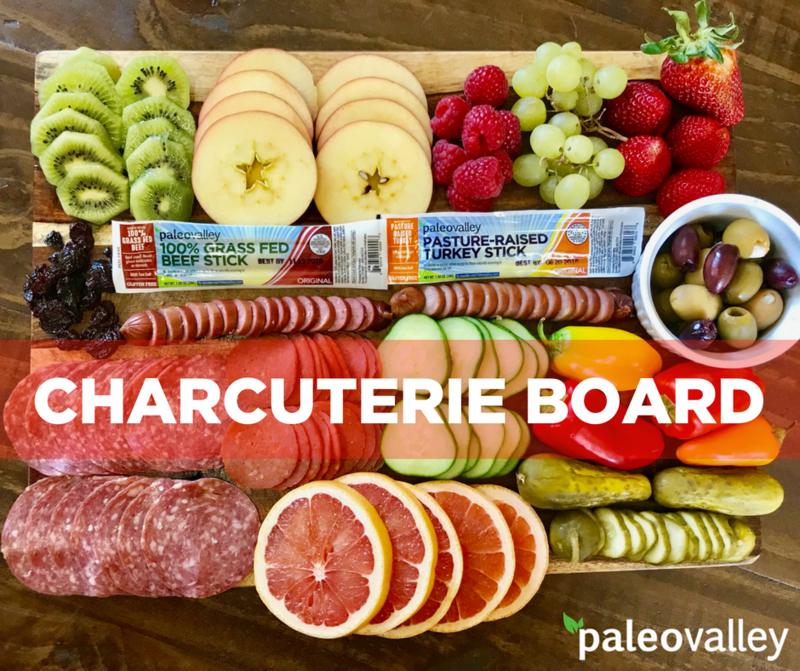 Remember, there is no right or wrong way to make a charcuterie board. Just stick with choosing your favorite foods and you seriously can't go wrong. I'm excited to see how your charcuterie board turns out, I'm sure it's going to look absolutely perfect.